The names of the asanas (postures) can be divided into different groups: instructions, lifeless forms, animal forms, human forms, and divine forms. This includes postures like utthita hasta padangushtasana which just mean extended hand to big toe posture, telling you what you must physically do to be in the asana. Asanas such as Trikonasana (Triangle Posture) and Navasana (Boat Posture), representing lifeless forms. 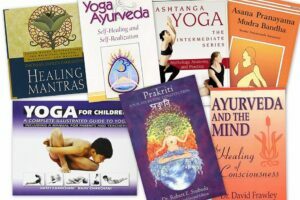 These tend to occur predominantly in the Primary Series of Ashtanga Vinyasa Yoga. The Intermediate Series has more postures named after animals, and some embodiment of the characteristics of that animal are expected along with just the physical shape. 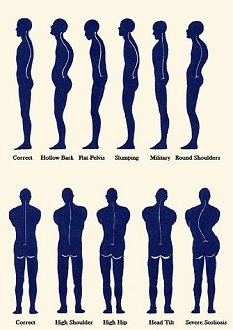 Some examples are Shalabasana (Locust Posture), Kapotasana (Pigeon Posture), and Krounchasana (Heron Posture). There are postures dedicated to the ancient Rishis, and the positions in which they are said to have attained enlightenment. 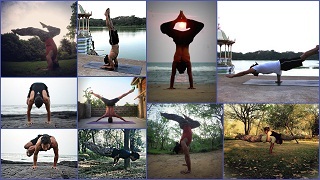 Examples are Marichyasana, Bharadvajasana, and Durvasasana. Natarajasana (Lord of the Dance Posture), Hanumanasana (Lord Hanuman), and Skandasana (Lord Kartikeya) occur, like those dedicated to Rishis. We see more of these coming in Ashtanga Vinyasa Advanced A or Third Series. Download the printable one page version as a reference to use anytime you like. Matsyendra Lord of the Fish. Shiva discovered a fish, who had completely learned his teachings of yoga. Shiva gave him divine form to then spread the knowledge of yoga. Using this breakdown you can start to understand an memorise the names of even complicated Asana. If you see the posture the torso and both arms face the front foot while the other leg is bent back out of the way.